Fifteen year old Genna lives in a tiny apartment in a Brooklyn ghetto. Her brother works for a drug dealer, and her sister is a favorite with the boys. Her mother works too many hours trying to support the family, and Genna is primary caregiver for her baby brother Tyjuan. Genna is determined to make something of her life. She wants to go to college and become a psychologist, to help people. Genna's sanctuary is the Brooklyn Botanic Garden; when things get bad she likes to go to the garden and wander around, sometimes with Tyjuan in a stroller. Sometimes she throws pennies in the fountain and wishes for a different life. Late one night, Genna ends up at the fountain in the garden after a fight with her mother. But this time, something happens, and Genna wakes up to find herself in 1863 Brooklyn, in the middle of the Civil War. Brooklyn may be part of the North, but that doesn't mean that it's safe for an African-American girl. Slave catchers abduct African-Americans, free or not, and send them down south. And racial tensions are brewing, tensions that will soon explode into violent race riots. Genna is caught in the middle, trying to make a life for herself in a Brooklyn that is far removed from the one she knows, not knowing if she'll ever be able to make it back home to her time, her family, and the young man she loves. 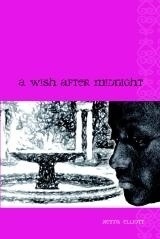 A Wish After Midnight is a remarkable book: intense, well-written, and moving. I read it through quickly, which is always a sign of how much I enjoy a book. Elliott does a great job of depicting racism in all its forms, not only overt racism, but also the insidious racism from some well-meaning people that is sometimes worse than the ugly, blatant kind. It would be easy for a book like this to descend into simplistic dogmatism and finger pointing, but A Wish After Midnight never does. The characters are well-rounded, complex individuals, with human flaws and human strengths. Courage, compassion, and intelligence are not defined by color, and neither are hatred, violence, and racism. Don't let this talk of racism mislead you into thinking that this is a "message" book. This is no didactic tome weighed down with messages; it's just a darn good story that depicts real people in a moving way. In spite of the time travel aspects, A Wish After Midnight reads more like historical fiction than fantasy. It's such a good story, though, that even most die-hard fantasy fans won't mind. I'm a fantasy reader, and I couldn't put it down. This one has been on my list to get a hold of for a while--I will bump it up in the queue now! Thanks, Sheila - definitely adding this to my list of books to look for! Yes, do check it out. It's a good book. Great review! I read AWAM and I love it, too. I don't think I could have written a review better than this. Glad I came by. I'll be back. Thanks for your kind words about my review. I'm glad you liked it. To satisfy my obsessive tendencies I feel I must point out that this review is labeled "book reviews" where as your others are labeled "book review"
That said, great review. I'll have to check that out when I have a hankering for some historical fiction.